If the FRM is 0.5mm thick, with +0.5mm pistons he will have 0.25mm FRM layer left. Link? I've searched for them before, couldn't find, so assumed didn't exist. A carbon fiber preform is filled with moltem aluminum under controlled pressure and speed to create the casting. Afterwards, it is heat treated and machined to final bore size. As far as I know, this can only happen when making an entirely new block, but please correct me if I'm wrong. It's never a good idea to drunk post. Do you even know what you are talking about? 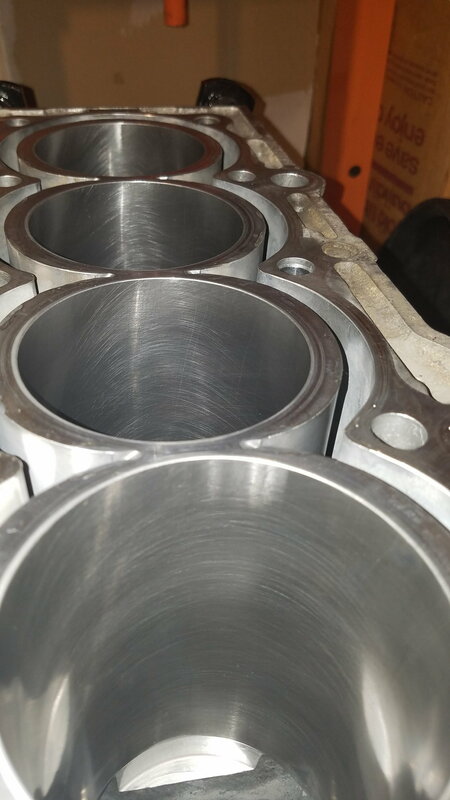 If the liner is 0.5mm thick, a +0.5mm piston means you need to machine the cylinder 0.25mm, leaving another 0.25mm liner. What's so hard to understand? The amount of misinformation here is tremendous. FRM is NOT the same as Nikisil. FRM is a composite, the block is cast around it. I've cut up several blocks, the frm is between 2 and 2.5mm thick. Boring them out is no problem. 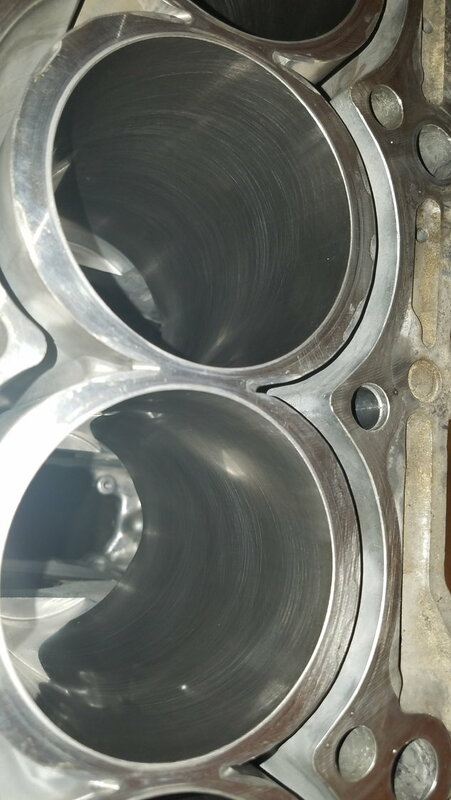 The main problem here is the oversize pistons may hit the head. The 87.25 look like they have the stock chamfer on them, but unless they made the chamfer a little more aggressive on the 87.5 and 88mm pisotns they will probably hit the head.. They come 0.040 out of the block, headgasket is 0.030, they come 0.010 over the gasket. The diameter of the chamber is 86.5mm give or take some core shift.. These pistons will work fine. I've been using nippon pistons in h22's since they started selling them. Nippon racing pistons are typically made right where the factory pistons were with the same materials and everything. What was that honed with? I believe they used diamond stones. Also learned that the Nippon piston pins are not DLC coated, so they are not compatible with the OEM rods. Fortunately, the OEM pins fit the Nippon pistons. Another option is to simply apply the needed coating to the pins.